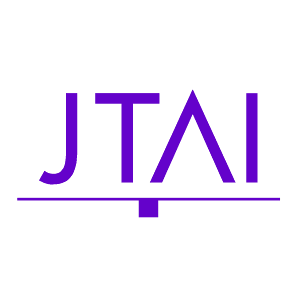 Architectural Services | John Tagle Associates Inc. This Isn’t my Grandfather’s Church! Building DesignRespond to growth or a new location, update or replace older facilities, improve operational productivity, or create a new image. ProgrammingClarify project goals and design objectives to provide a rational basis for design process. Space PlanningDevelop efficient and effective use of building areas to accommodate work processes and operational activities. Interior DesignAccommodate organizational change and/or update, modernize, or renovate building interiors. Computer Modeling and RenderingView the design of a building and its internal spaces through 3D models as a simple line drawing or a photo-realistic rendering. Master PlanningDevelop long range plans for growth in the content of phased construction. Building AssessmentEvaluate a building’s physical condition, identify code violations and develop budget costs for modifications or repairs. Feasibility StudiesEvaluate constraints and opportunities for building or site development or compare multiple buildings/sites. Construction DocumentsPrepare technical documents to obtain building permits, construction cost bids and the execution of construction. Construction AdministrationObserve construction activities and review contractor submittals to ensure construction conforms to the construction documents. Construction ProcurementSelect the appropriate project delivery method, identify qualified contractors, and assist in award and preparation of contracts. Design ConsultationConsult one-on-one to develop ideas and solutions for limited scope projects. Zoning AppealsObtain special exceptions, conditional uses, site plan approvals, and/or zoning variances. Expert Witness TestimonyProvide expert advice pertaining to personal injury and property damage claims.